Our very own Petronas Twin Tower riding high in the sky. 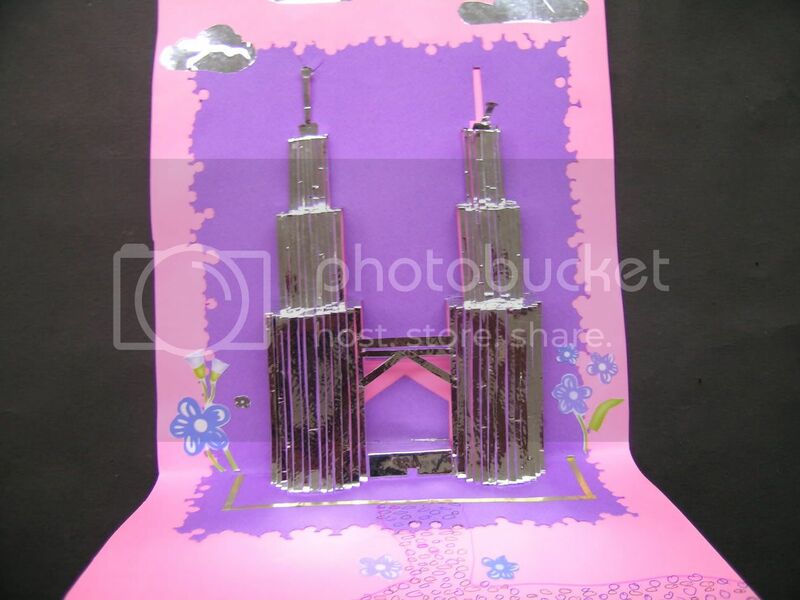 This is an original origami creation by Nur Atiqah bt. Kamarul Zaman of the Fifth Form in SMK Pendang. 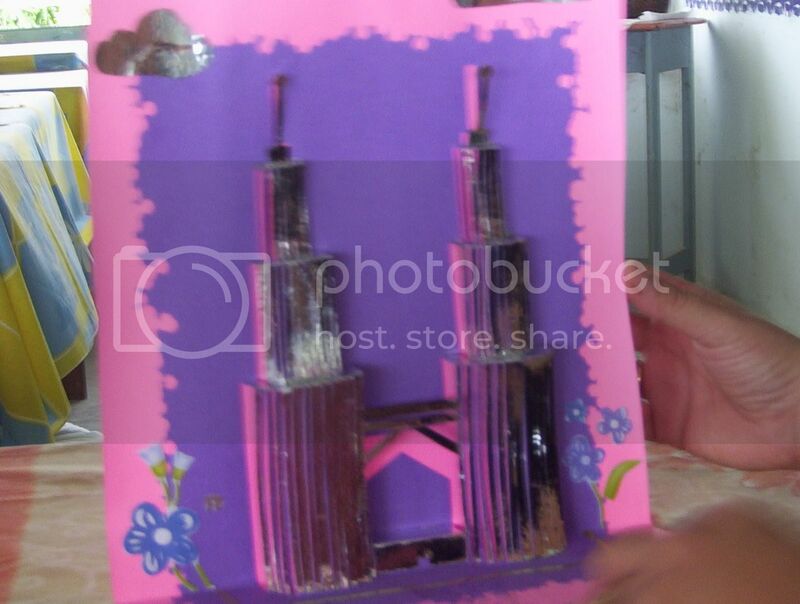 Nur Atiqah found the inspiration to produce this piece of work due to a Mathematics Society Field Trip to Kuala Lumpur.